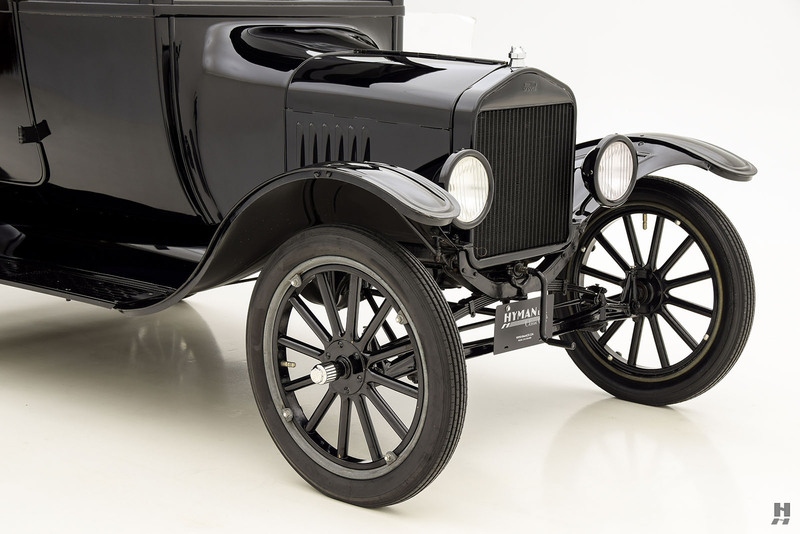 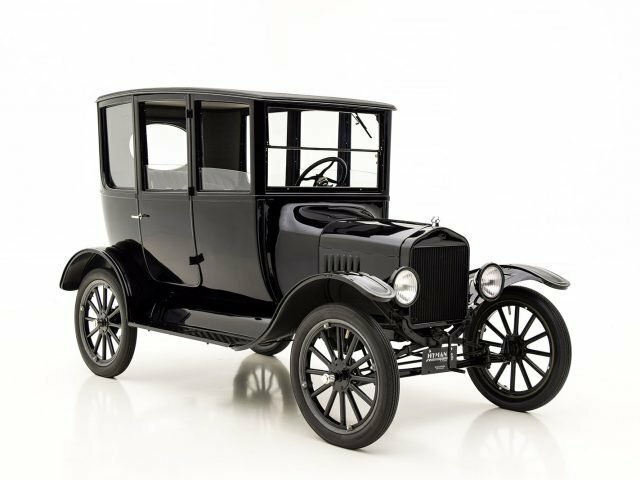 The Ford Model T is a machine that ranks as one of the most significant and important inventions of the 20th century. 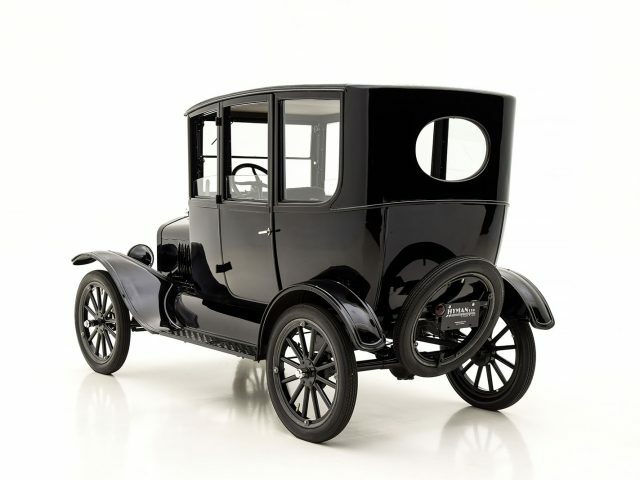 Henry Ford’s development of the moving assembly line was so significant that he is oft compared to the likes of Alexander Graham Bell and Eli Whitney as the most influential names in American Industrial history. 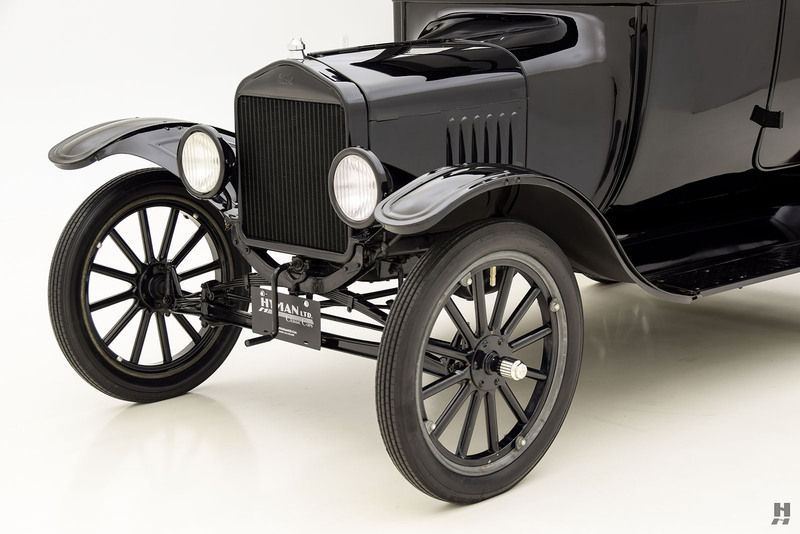 As the first product to roll of that assembly line, the Model T became one of America’s proudest industrial successes. 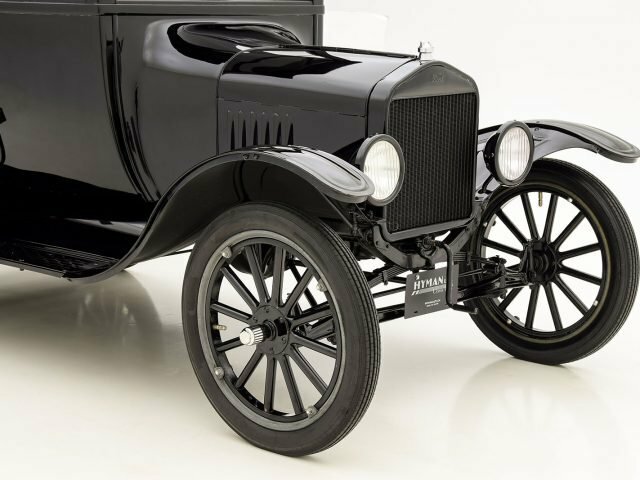 Much of the historical focus is paid to the way the Model T was assembled, and how Henry Ford ruthlessly revolutionized mass manufacture. 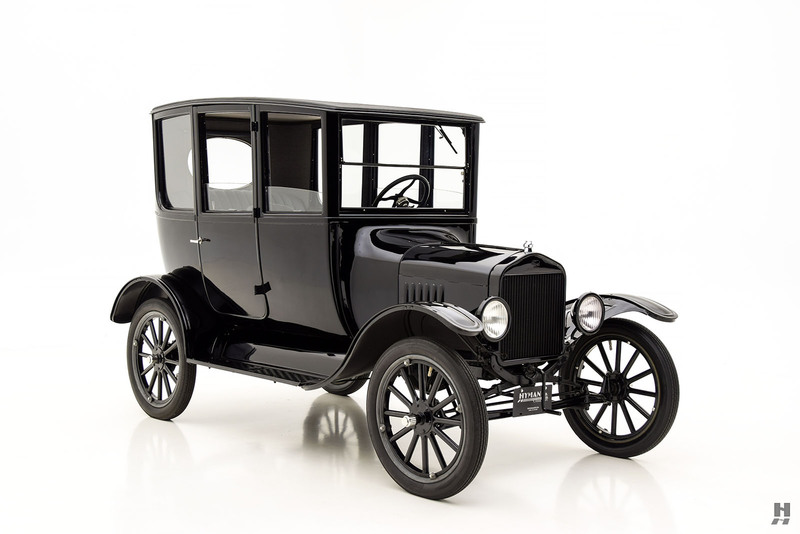 But even when viewed apart from the ingenious production methods, the Ford Model T could stand proudly as a truly remarkable and versatile machine that was a smashing worldwide success. 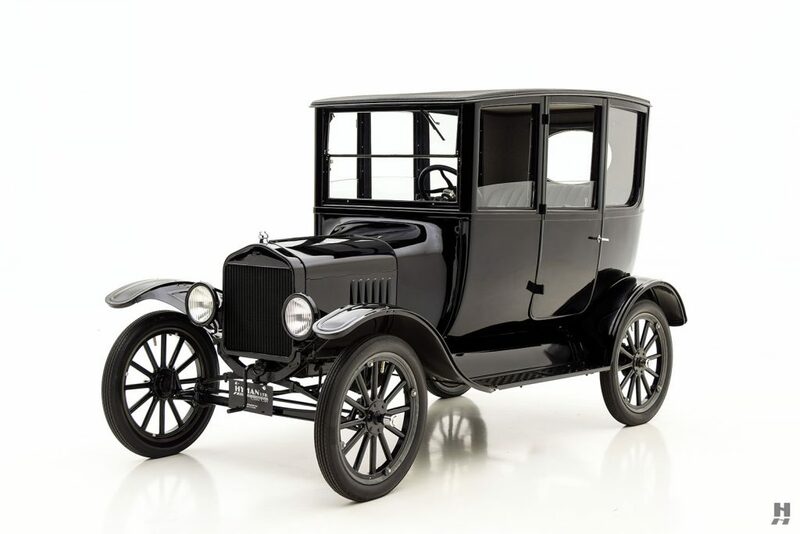 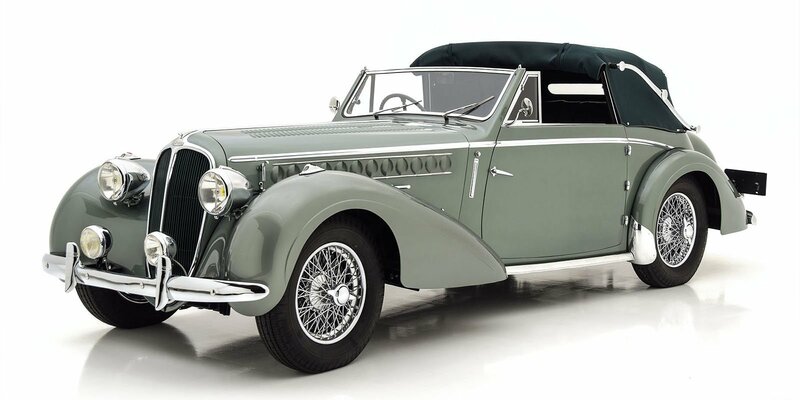 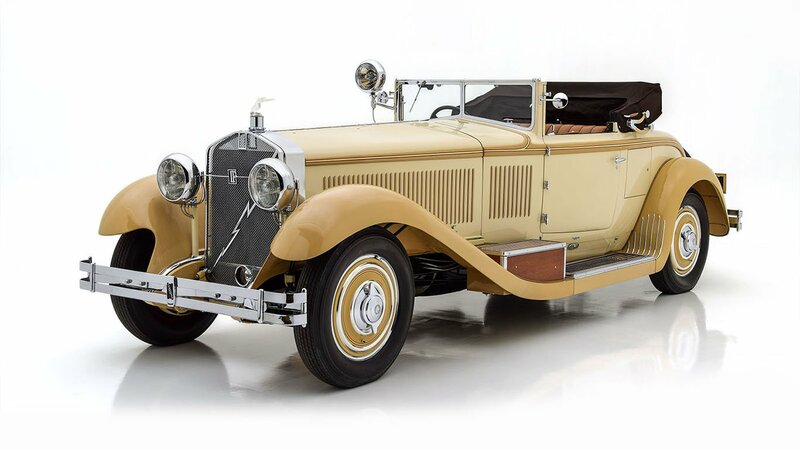 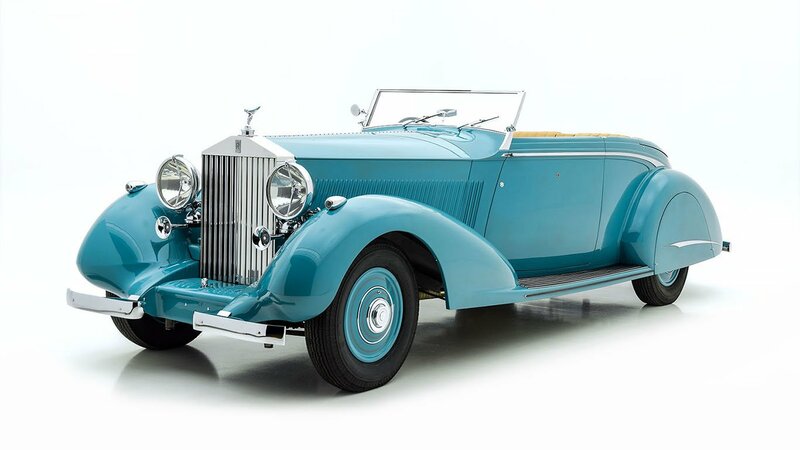 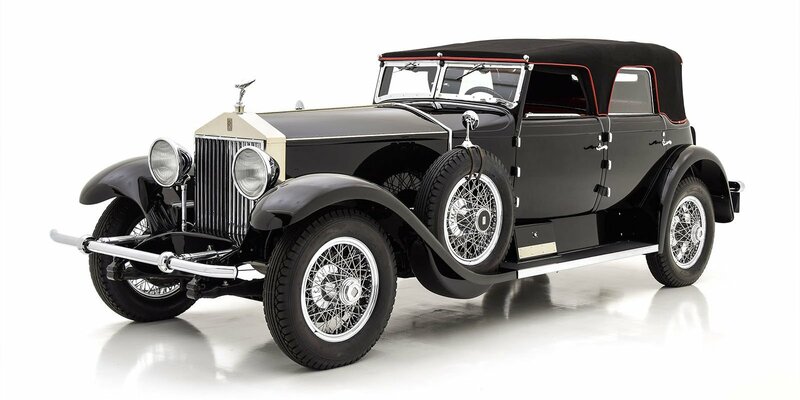 Because Ford was able to build so many Ts so quickly, the price was low and suddenly the automobile was accessible to millions who never dreamed of owning one before. 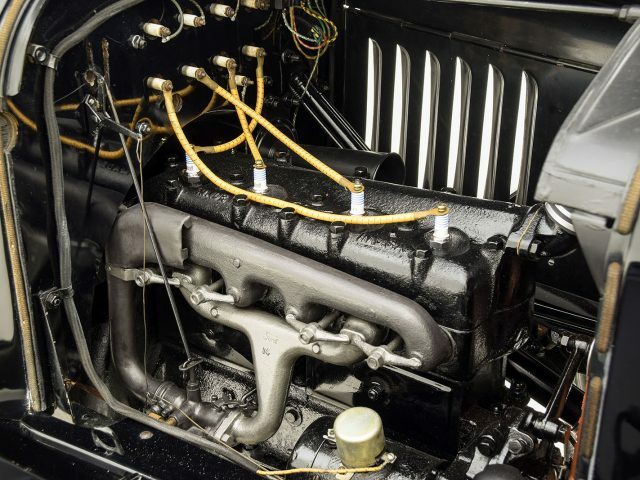 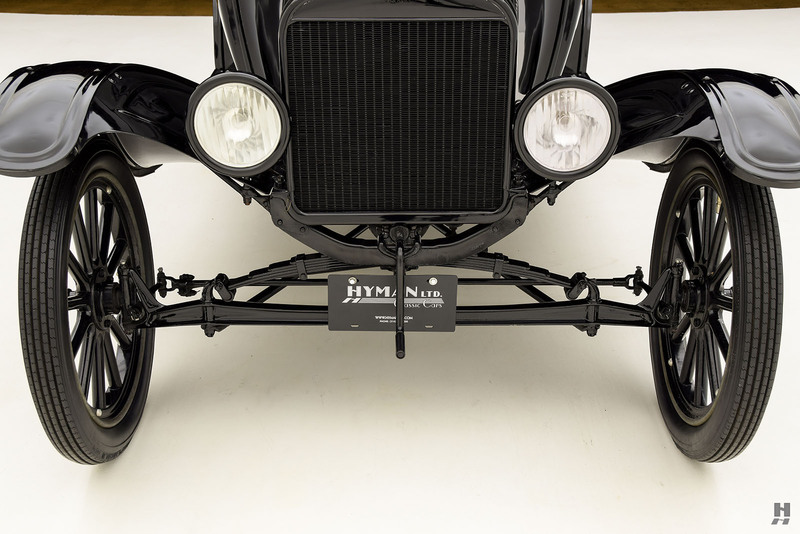 Its popularity even spawned an aftermarket industry that allowed the T to be adapted to virtually anything: From racing cars to farm implements, the Model T could do it all. 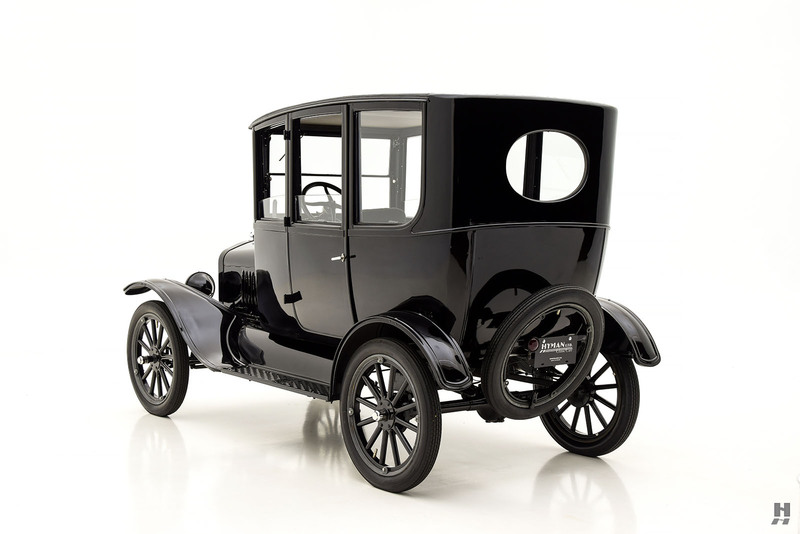 Ford was enough in tune with his customer needs to offer a wide variety of bodies to meet demand. 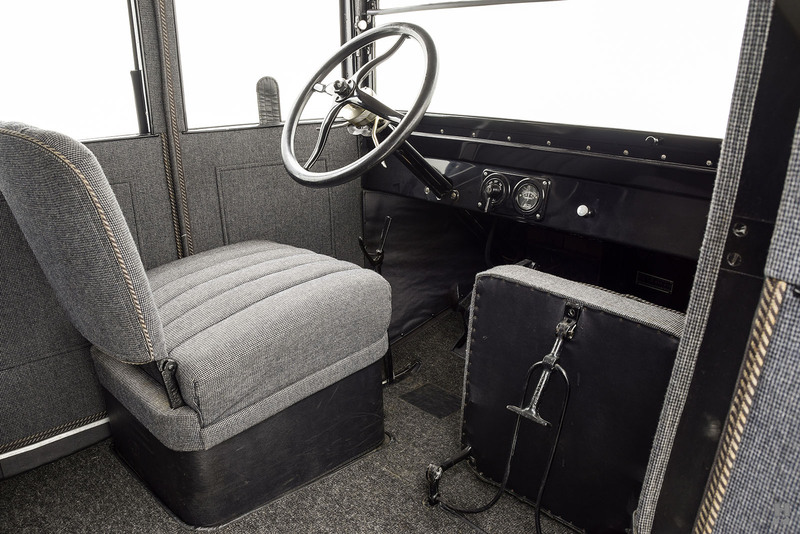 Touring cars and Depot Hacks moved people, while the Pickup and Commercial Roadster offered versatility for tradesmen. 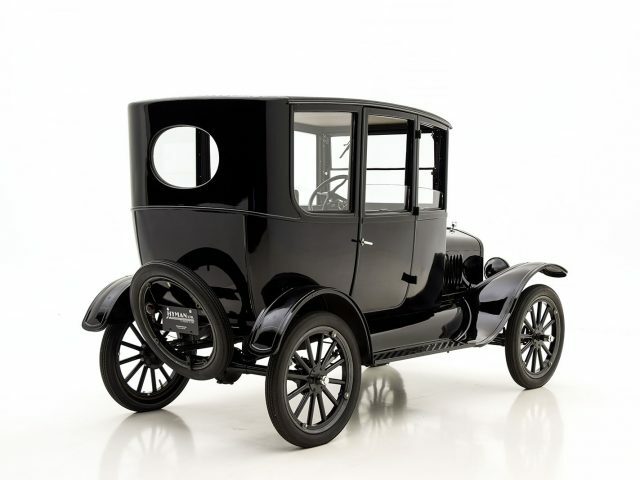 One of the most unusual and interesting variants was the “center door”; officially known as the “Two Door, Five-Passenger Sedan”. 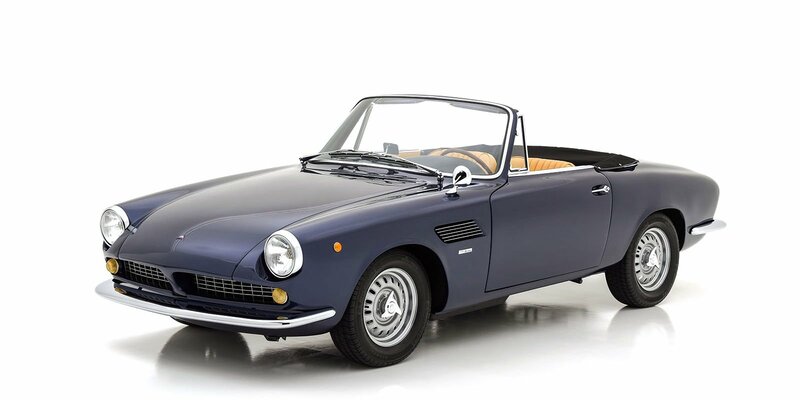 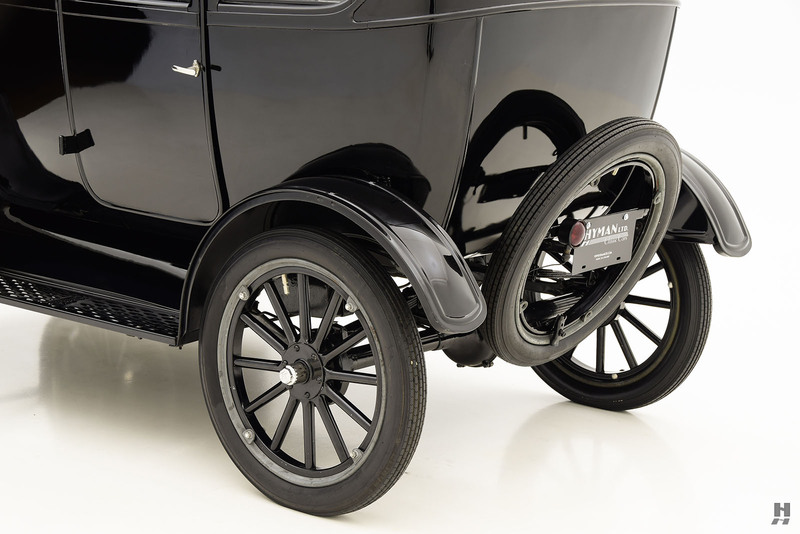 Styled along the lines of the traditional Doctor’s Coupe from the carriage building days, the simple yet roomy body featured two doors mounted – you guessed it – in the center of the body sides. 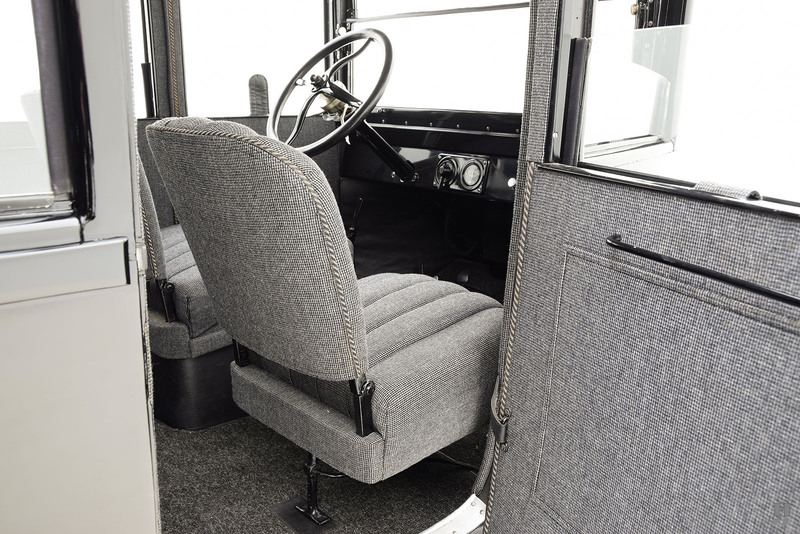 It offered comfort and protection in all weather conditions, and the roomy cabin was comfortable for longer journey. 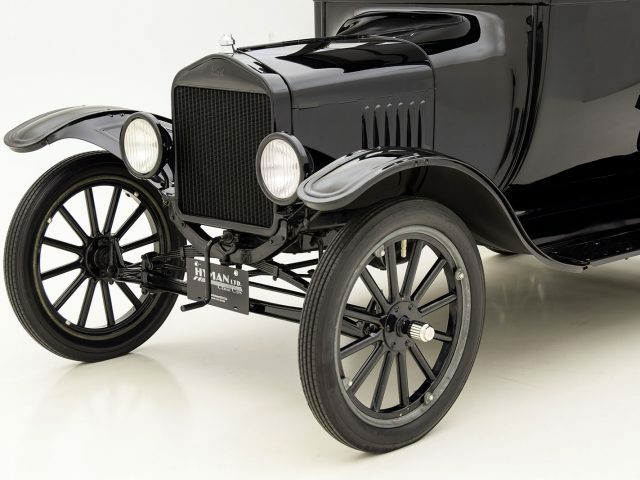 This was Ford’s first sedan and one of the first fully closed mass produced cars in America. 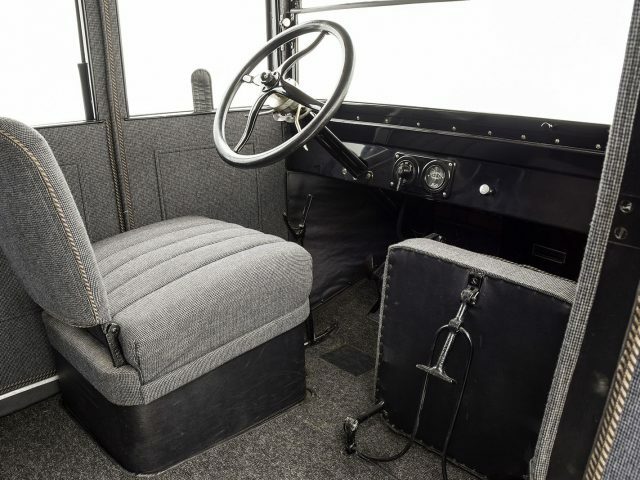 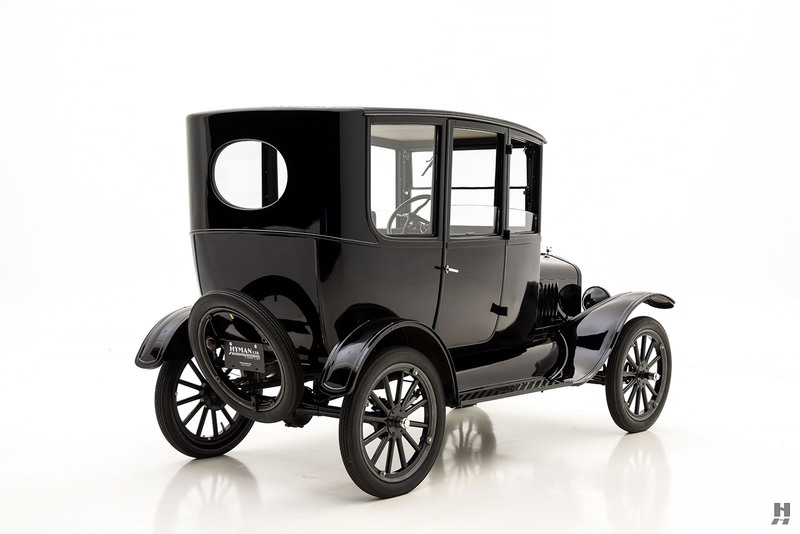 In its day, the center door was the most expensive Model T passenger car available, at nearly $950, meaning it was also one of the least popular with buyers. 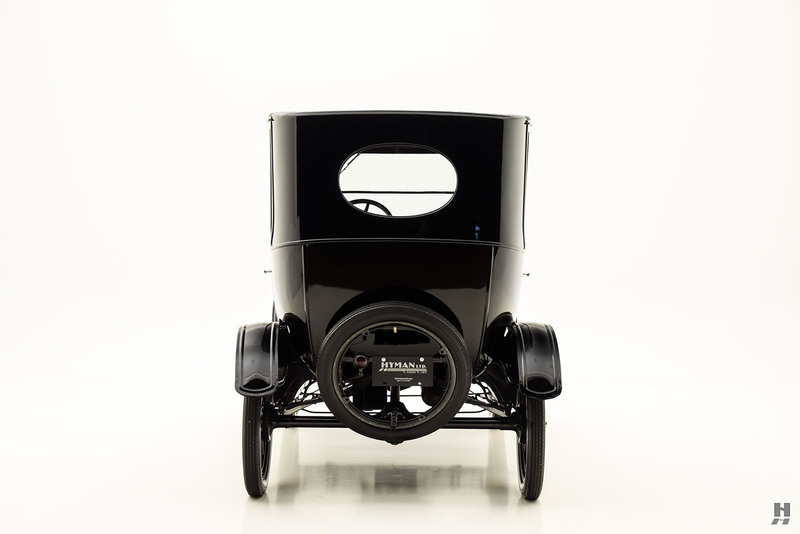 Today, the rare and quirky center door is a favorite among collectors and Model T aficionados. 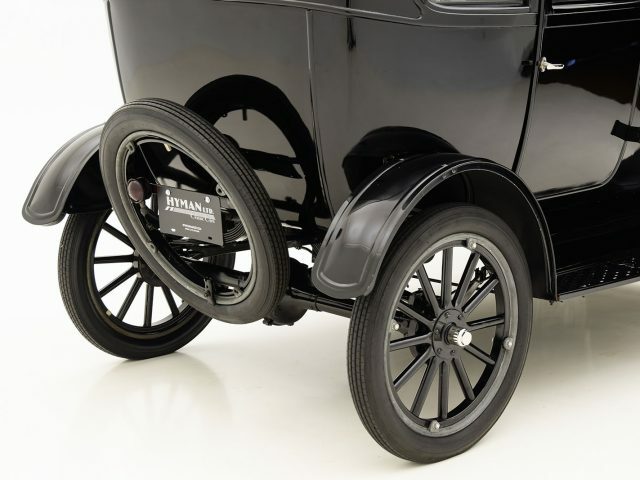 This tidy 1921 Ford Model T center door is a nicely restored example of this rare and desirable model. 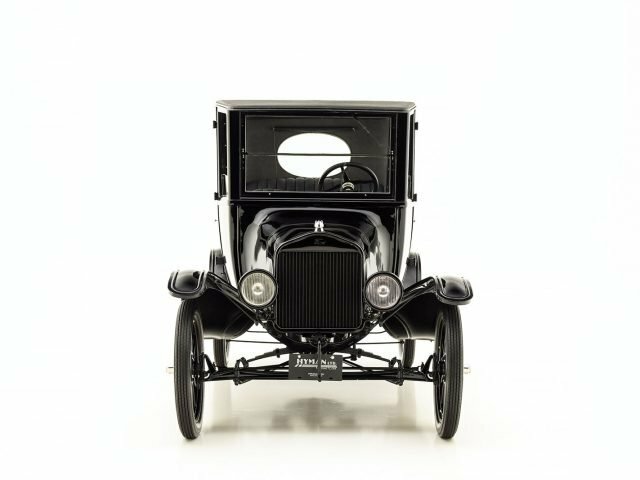 Finished correctly in all black, this nickel era Model T is a nice, honest and usable motorcar that would be a fine choice for the collector or entry level hobbyist alike. 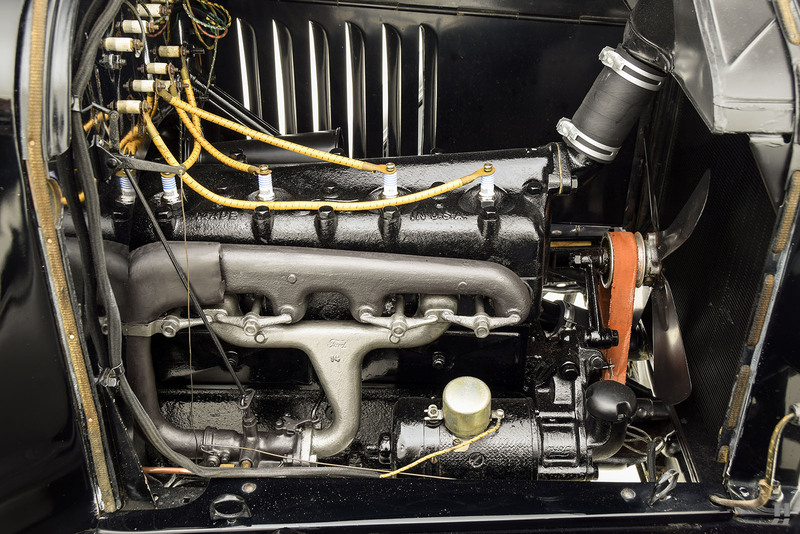 Wearing an older restoration, it presents in good order with attractive black paintwork on a good and sound body. 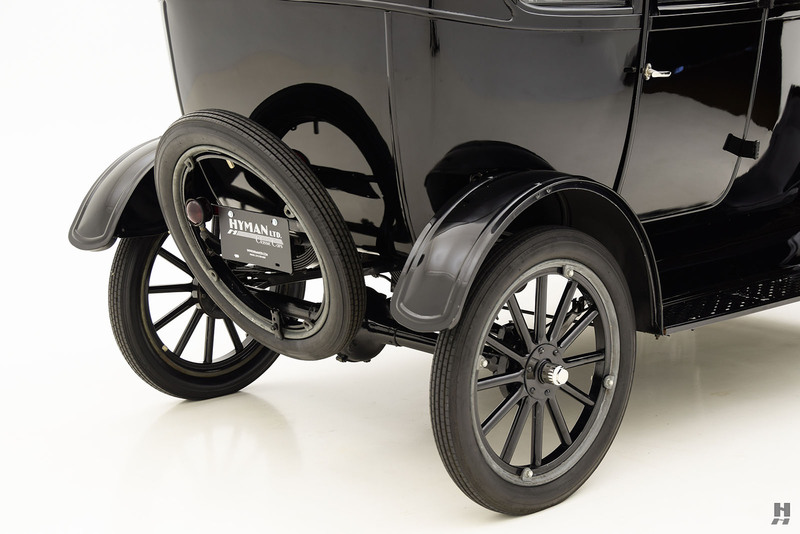 A few minor blemishes can be found in the paint, which do little to detract from the overall appeal of this fine Model T. It is correctly fitted with a black radiator, Ford script running boards, wooden artillery wheels and minimal bright adornments, as a great deal of new-old-stock parts were sourced for the restoration. 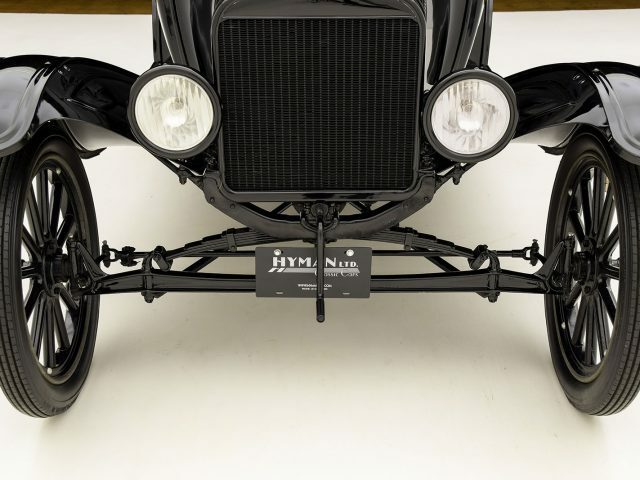 The black headlights feature nickel trim rings and lovely fluted lenses as original. 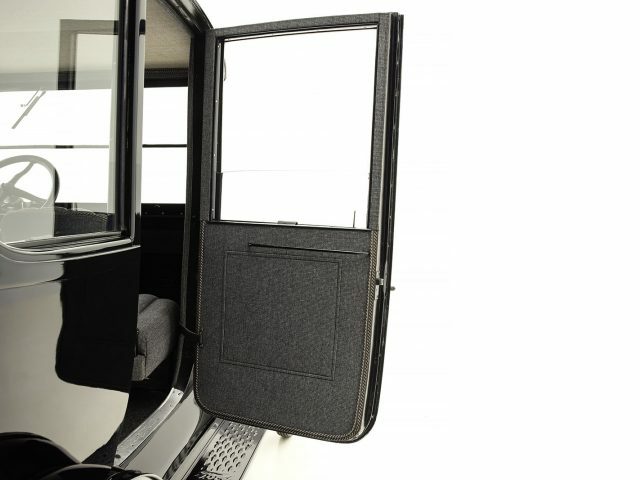 The tall, upright windscreen is split to allow for better airflow through the cabin, and the doors feature opening carriage-style windows. 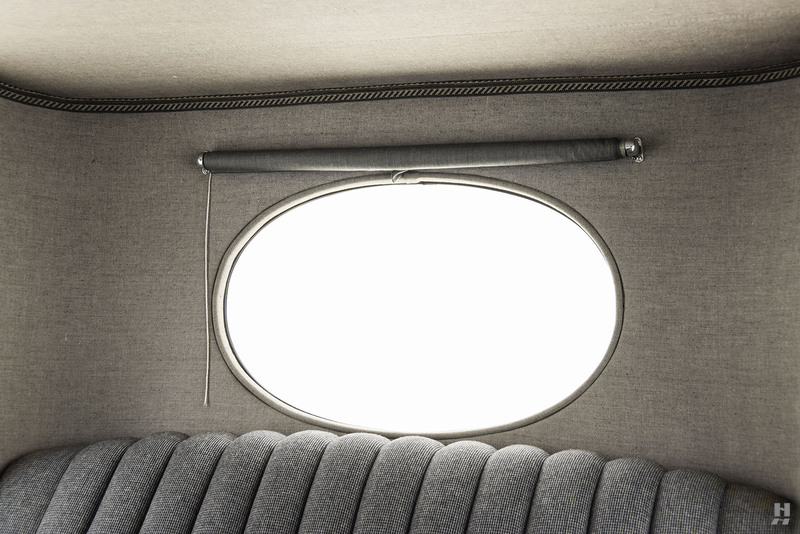 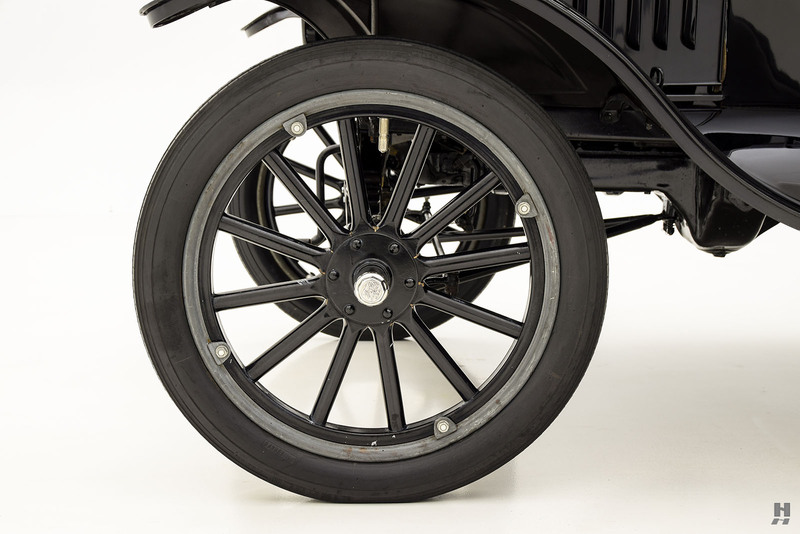 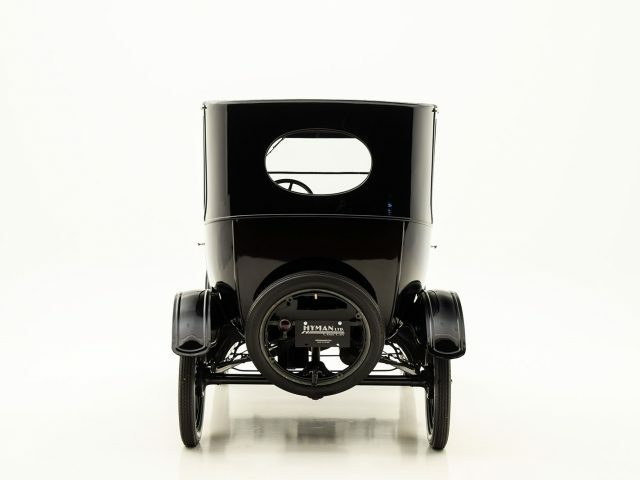 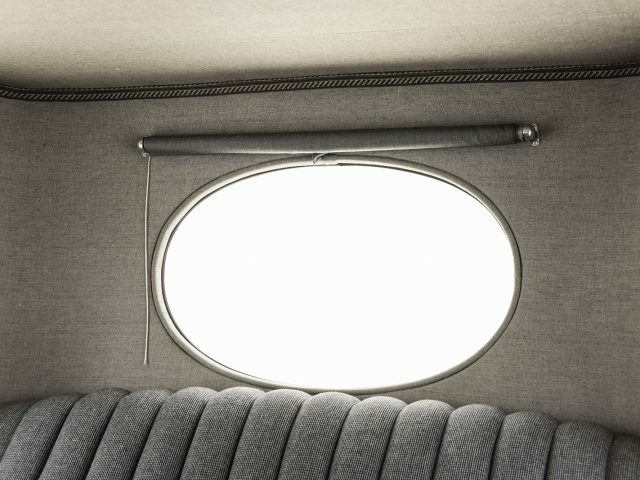 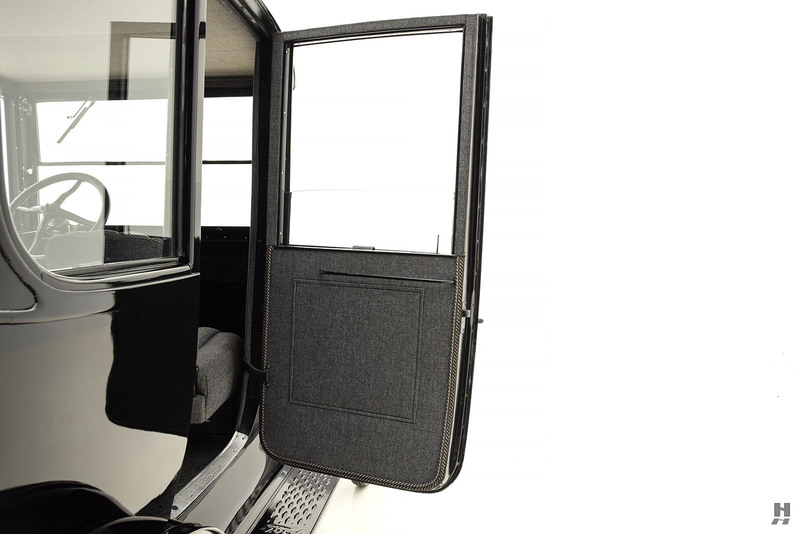 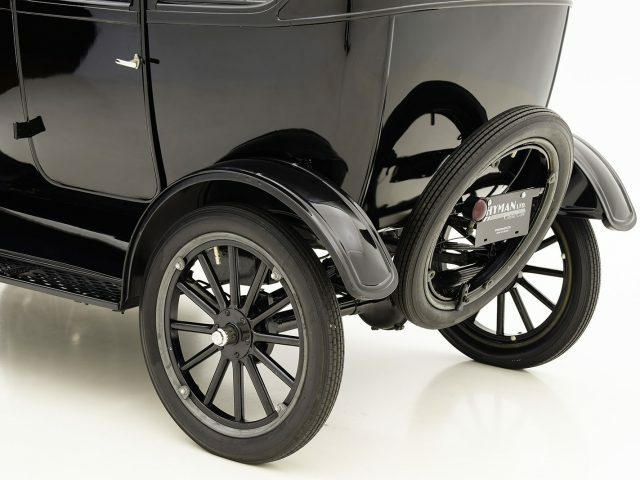 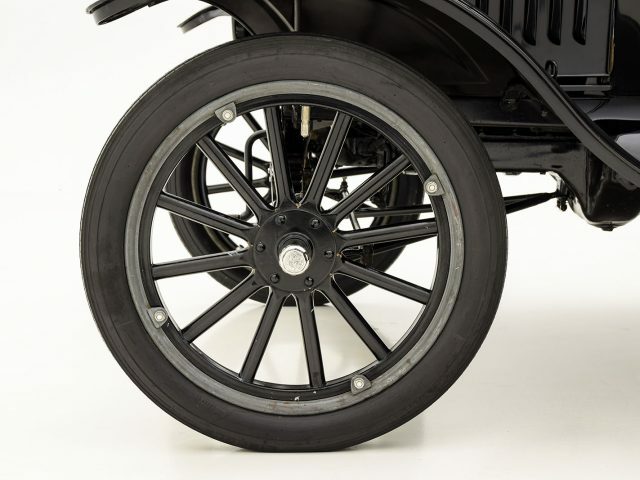 We particularly like the elegant oval rear window treatment, which lends the basic Model T a degree of formal appeal. 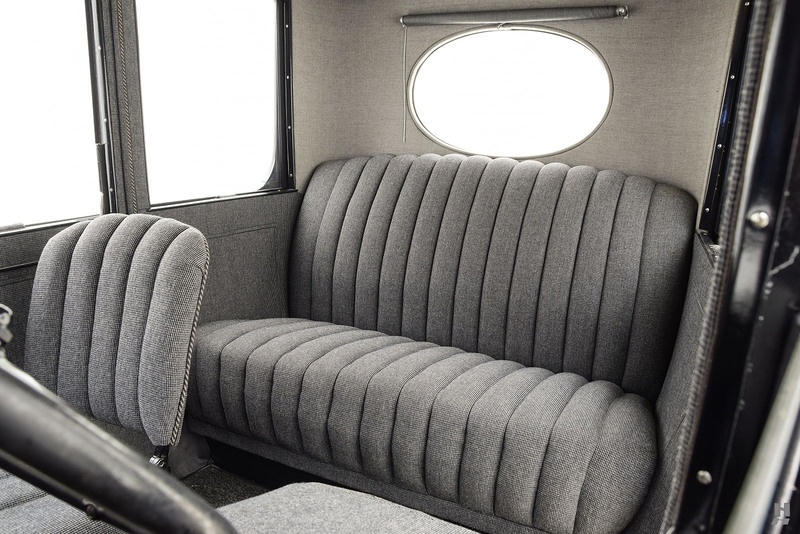 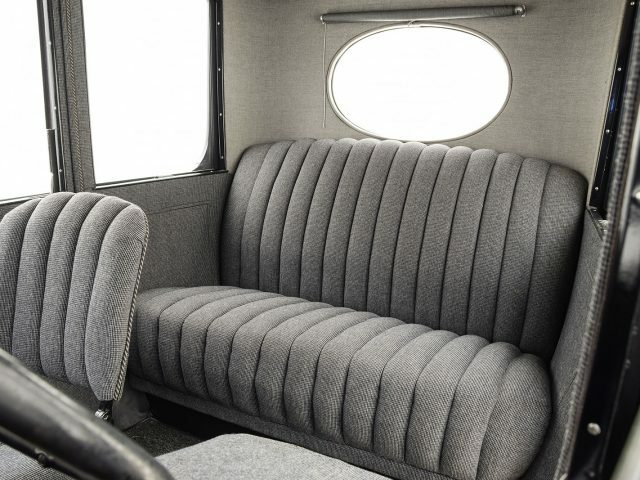 The five passenger cabin (two individual seats up front with a 3 person bench in rear) on this example is a real highlight of the restoration; trimmed in lovely blue/gray tweed wool fabric to a very high standard. 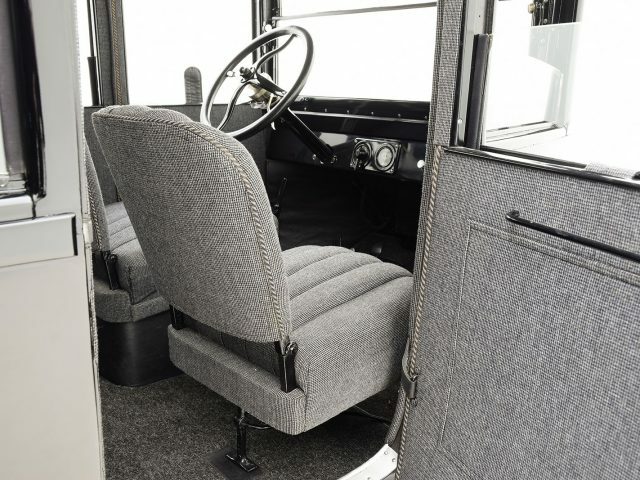 The stylish and high quality fabric covers the seats and interior panels, while a complementing headlining and wool squareweave carpet are extremely well executed. 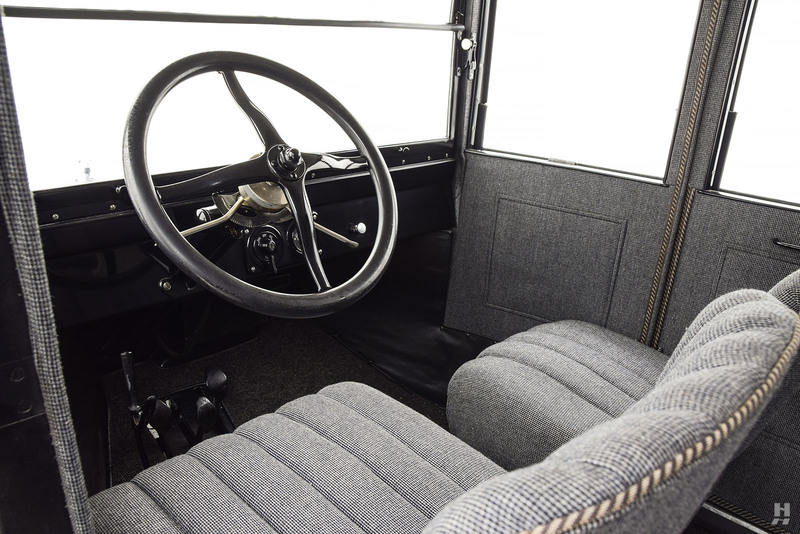 Details such as a privacy blind over the rear window and a running-in instruction decal on the windscreen add a welcome bit of period charm. 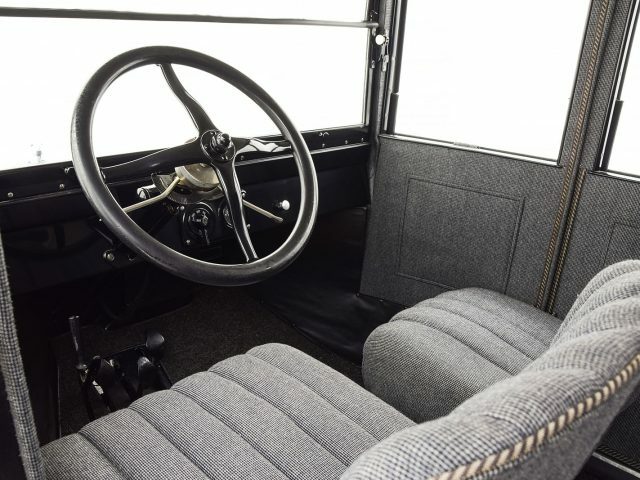 The restorers even went so far as to hand weave the windlace in the factory correct patterns. 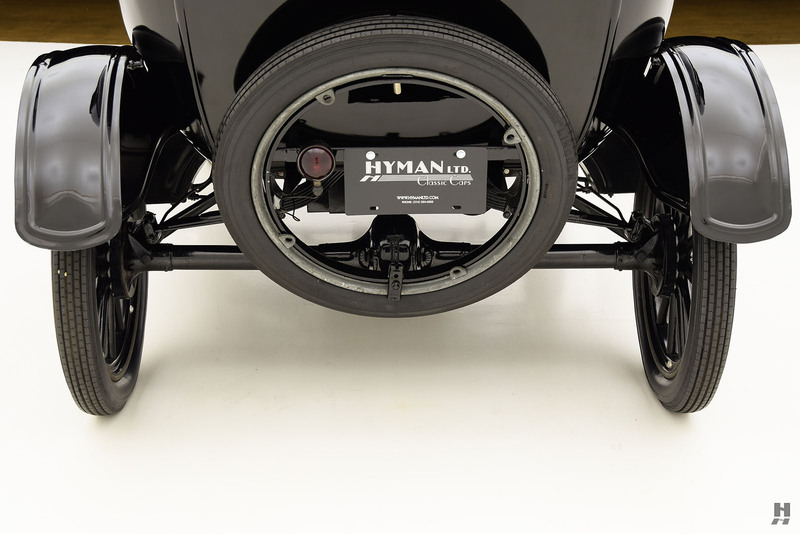 As part of the restoration, the chassis and undercarriage have been very well detailed, still presenting in clean condition with good quality, hard-wearing finishes on the major components. 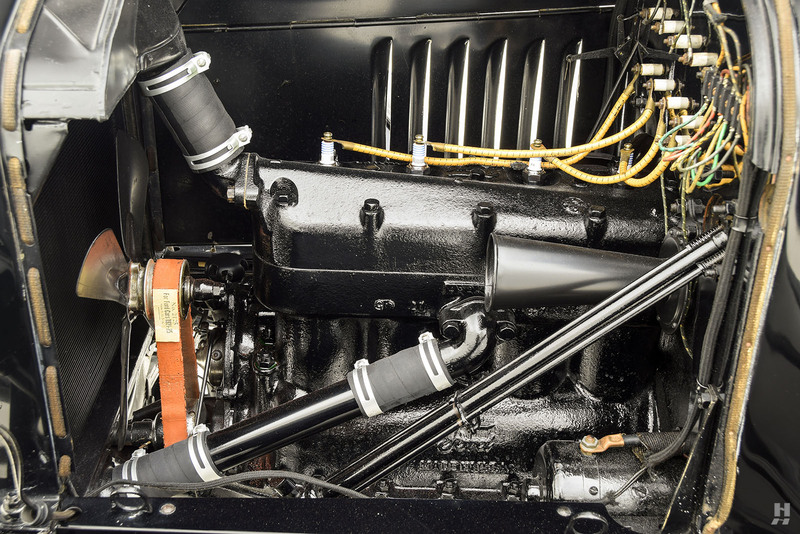 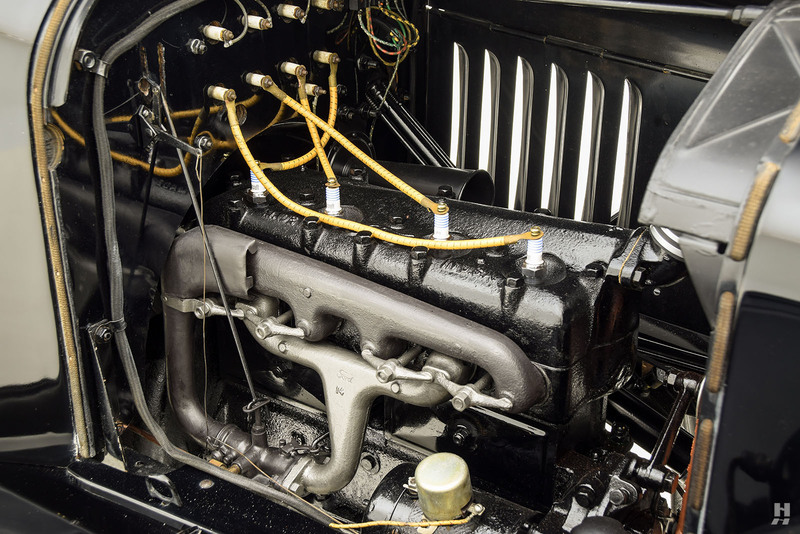 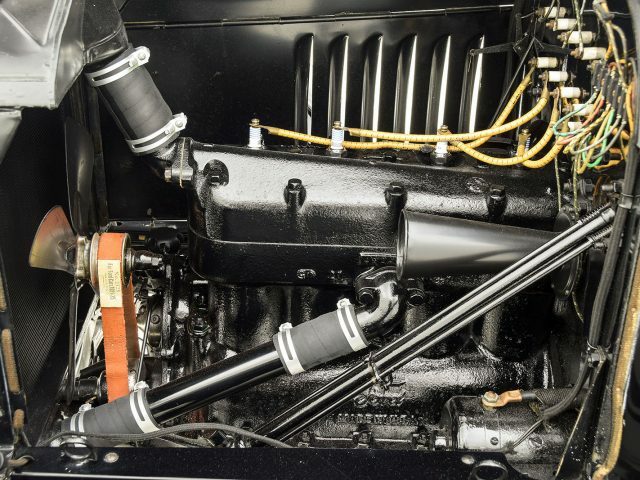 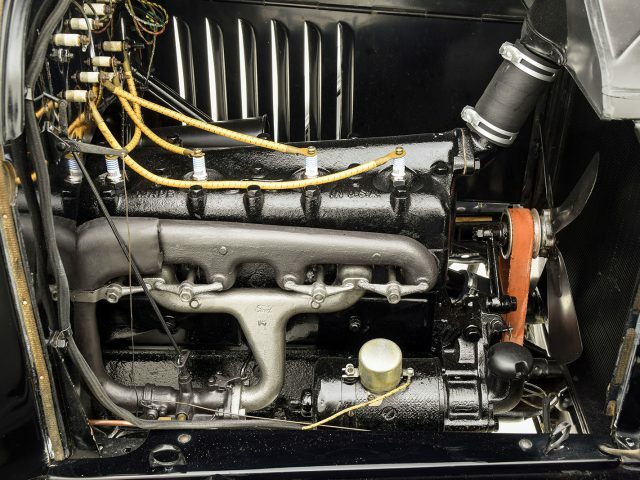 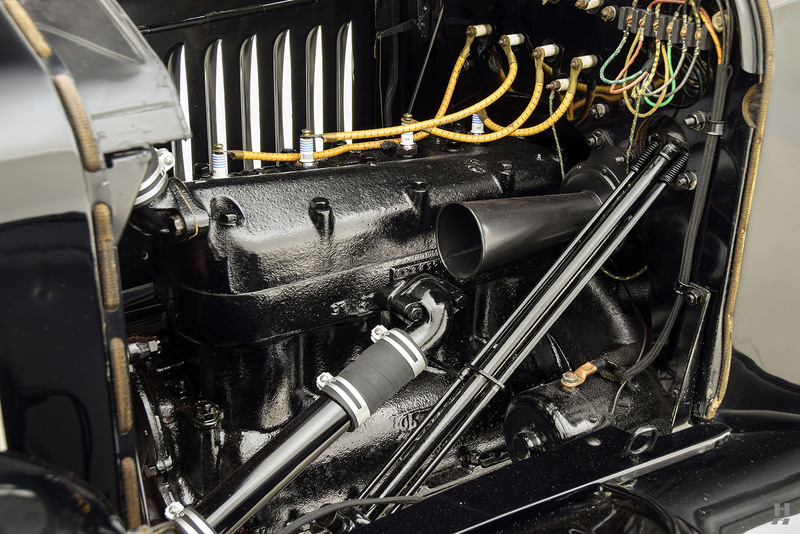 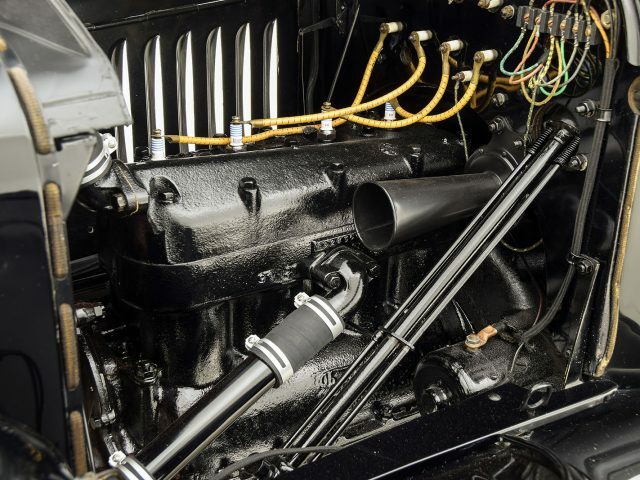 Ford’s bulletproof four-cylinder engine also presents in good order, having been rebuilt as part of the restoration, and while it is showing some signs of regular use, it is generally tidy and correctly detailed. 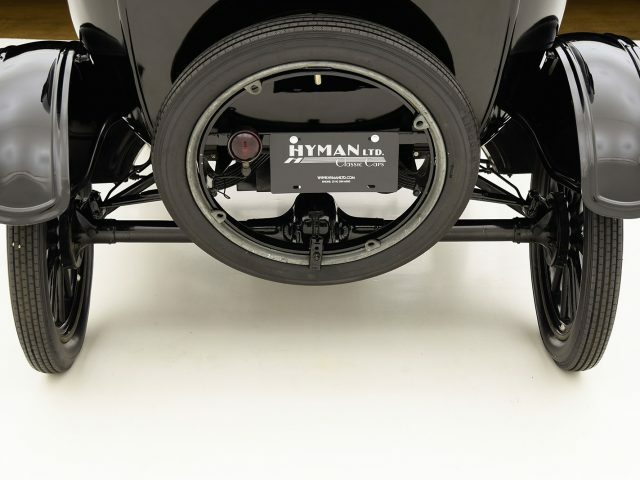 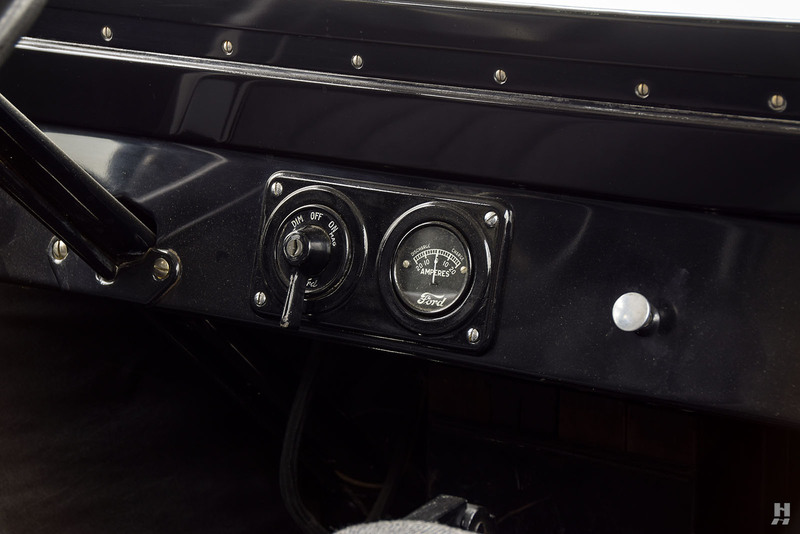 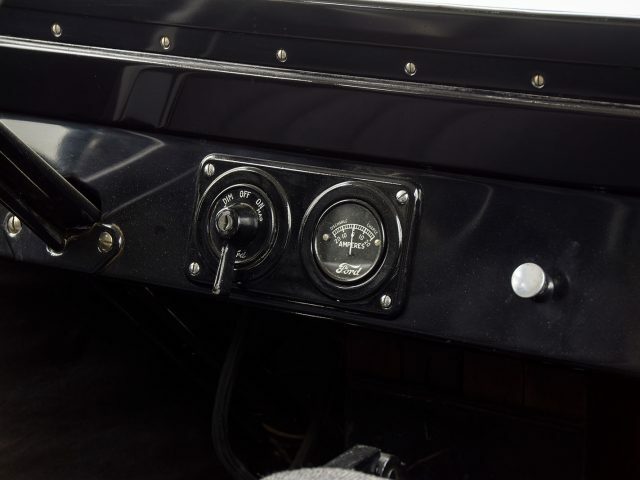 As a later model, it features a handy electric starting and charging system, making this Model T much more user friendly and practical than earlier examples. 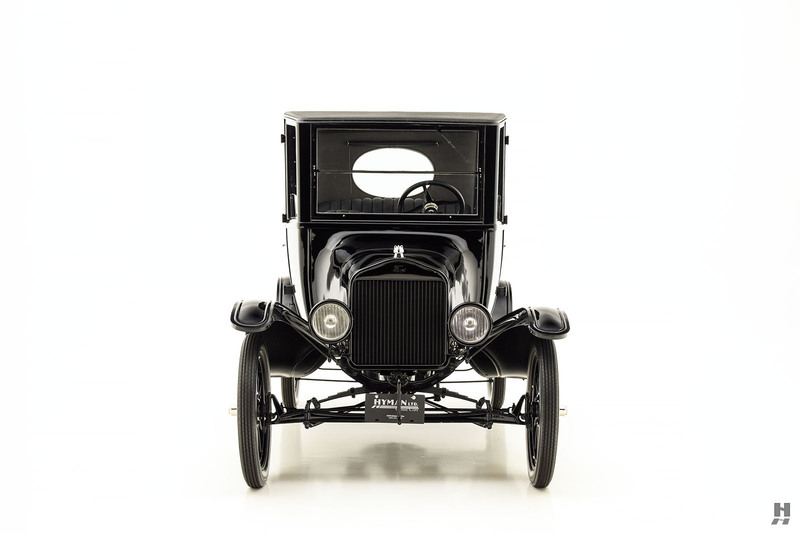 This 1921 Model T Center Door Sedan is a very well-presented, usable and enjoyable example that would be finely suited for regular touring and enjoyment.